Had fun making this about a year ago, figured I should polish it up and put in online to get some practice in before the GameMakers Toolkit Game Jam. 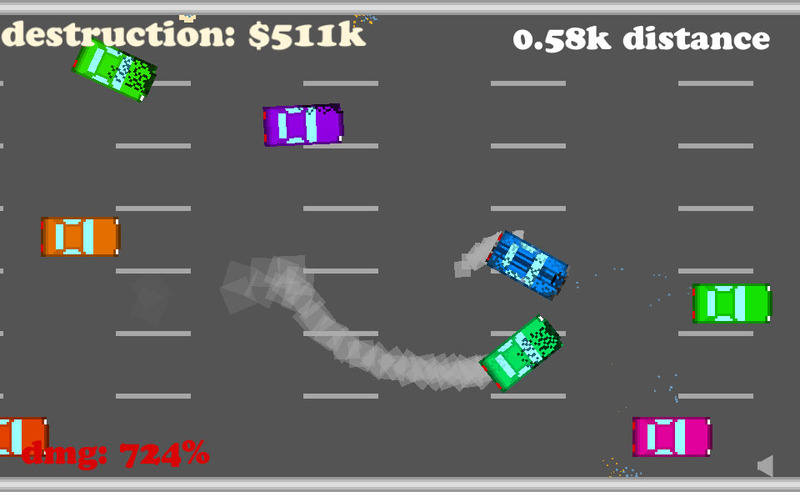 A game about driving through traffic. Or into traffic. Probably a bit of both. The more damage you take the further you get sent flying! Avoid being knocked off the left of the screen to stay in the game. Points for distance traveled and destruction caused. 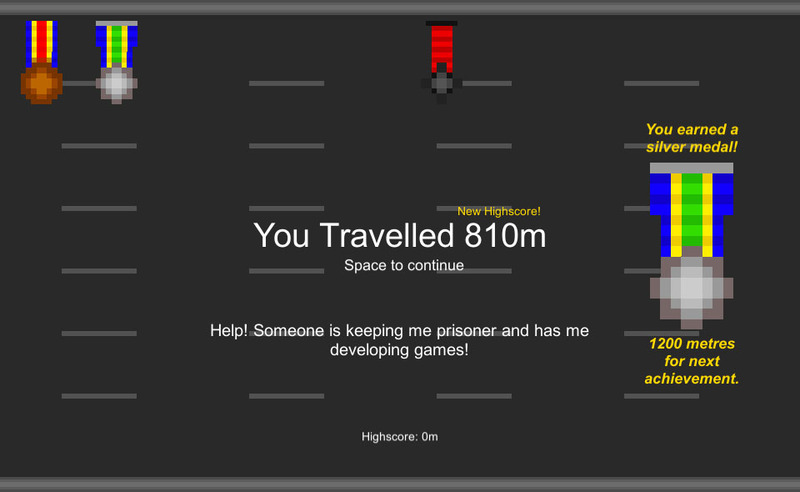 Made using Unity. Sprites were made in Photoshop. Sound effects and music was made using LMMS and the SFXR plugin. Check it out here: Wreckless Would love to get some feedback.